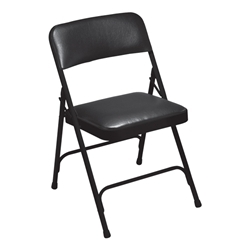 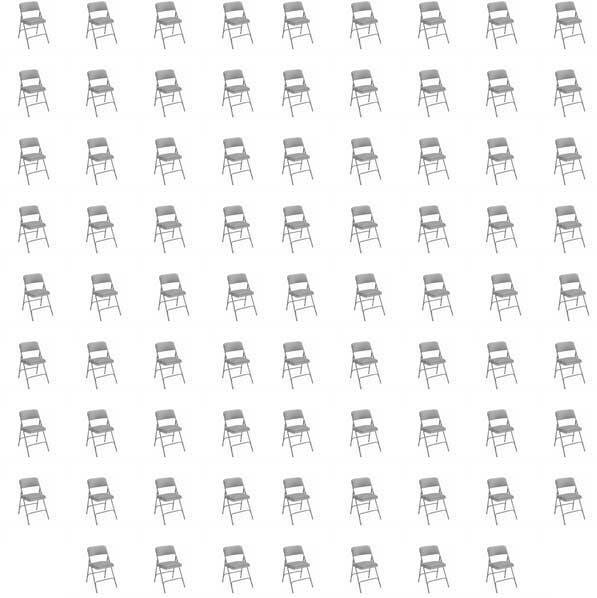 Product: National Public Seating 1200 Series Vinyl Upholstered Folding Chairs (80 Pack). 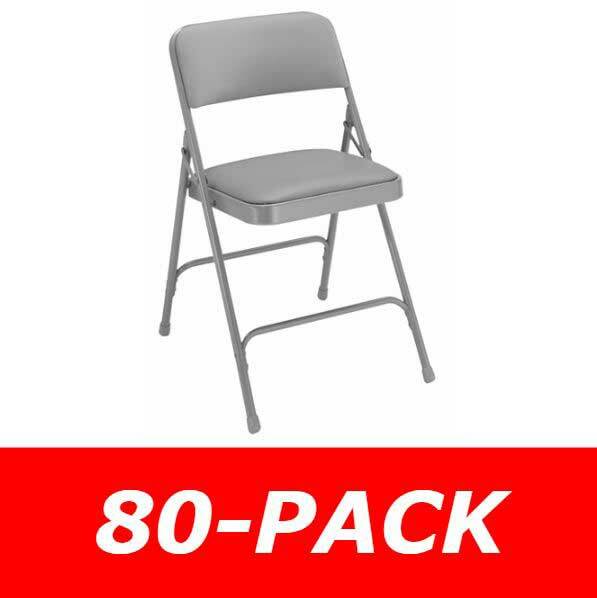 80 Pack Pallet Load FREE SHIPPING to the lower 48 United States! 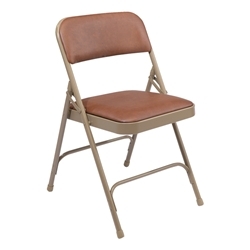 Unlike most upholstered chairs the 1200 series back and seat is entirely upholstered! 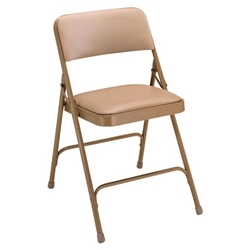 In addition this chair is sturdy and durable! Q: What material is the cushion made from? 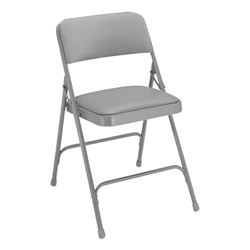 Fast Shipping: Orders for the National Public Seating 1200 (80 PACK) generally leave the warehouse within 2-4 business days.